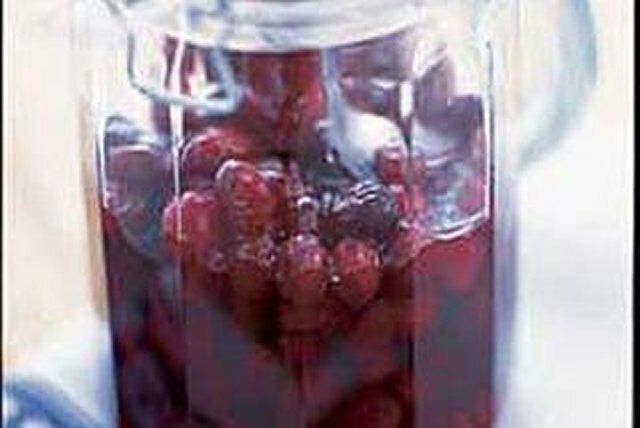 Make luscious Brandied Cranberry Sauce at home in a snap, and you only need 3 ingredients! You can use orange juice for the brandy if you prefer. Preheat oven to 300°F. Place cranberries in 13x9-inch baking dish; sprinkle evenly with sugar. Add brandy; stir until well blended. Pour into jars or serving dishes. Cool completely. Cover and refrigerate several hours or until chilled. Use leftover cranberry sauce to make Cranberry Squares.